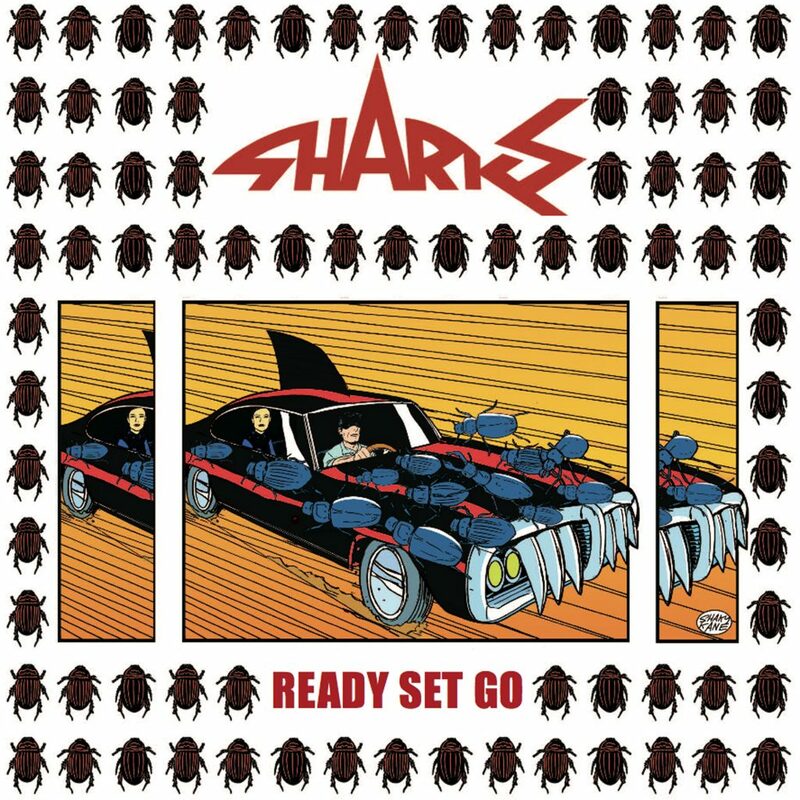 3Ms Music are delighted to announce that the new Sharks album ‘Ready Set Go’ is now available to pre-order on CD from our website. With another iconic album cover from Shaky Kane, this album is a treat for all original music fans. The pre-order page also includes a brand new promo video in true Sharks style! For full information & a chance to hear some snippet tracks head over to our SHOP by clicking the button below and as a special, limited time only offer, use DISCOUNT CODE SH29 and get the special discount added to your order. We are very proud of this album & hope you enjoy it to. Recorded at Smokehouse Studios in London by Paul Madden, mixed by James Patrick & mastered by Gwyn Mathias. This entry was posted in Sharks and tagged Chris Spedding, KingMob, Sharks, Steve Parsons. Good news, folks! Looking forward to this with much anticipation. Love when they takes turns in the music and this sounds like it. Any vinyl on this one? That would be icing on the cake! C’mon June! Hiya Bob, Yes there will be Vinyl.. not sure on exact date yet! But we will announce it so make sure you’re following us on FB & Twitter! gonna order mine a right about now !!!! I have 2 things to tell you. First, is the new album also available on Vinyl? Second, I have bought the LP “Killers of the deep” twice on the concert in Frankfurt DAS BETT . Unfortunately both Vinyl is badly pressed and has sizzling noises while playing. Is it possible to exchange only the vinyl ? Not the cover, because I could get it signed by the members. Sorry as sales not via our website you would need to contact the band direct. The new album will also be available on vinyl but we do not have a release date yet. Thanks! Can you give me an update on the release of ‘Ready, Set, Go’ please ? Thanks Denise. I’ve just received your email completing my order and looking forward to receiving it !!! Hi Denise, I received the album today !!! – Thank you.